Australia has been ranked 50th in the world in terms of global internet speeds since 2016, and while hopes that the spread of NBN use would see us gain a notch or two, those have already been shattered. 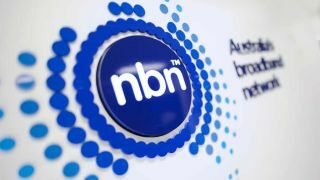 Half the country might be able to connect to the NBN broadband service now, with over 2.2 million paying customers, but it seems that the more customers that sign up, the more complaints roll in. Although NBN Co boss Bill Morrow has admitted that 15 per cent of customers are unhappy with their NBN broadband speeds, he’s blaming Australia’s internet service providers (ISPs) for all the broadband unhappiness going around. In a position paper published on the NBN website, Morrow has blamed a “price war” between ISPs as the main cause for customer dissatisfaction. Morrow has called it a “land grab”, where ISPs have rushed to sign up as many customers as they can without considering how they’ll deliver promised speeds. Morrow claims that studies have proven that customers are willing to pay more for better service, but he says that ISPs are “cutting corners” to keep prices low and haven’t been buying enough bandwidth from the wholesaler to overcome network congestion. And despite being under pressure to review NBN Co’s CVC pricing (the amount of money ISPs pay for bandwidth) – even though the latest revision was in June this year – Morrow says the infrastructure company will focus on it going forward. In a bid to improve service, the Australian consumer watchdog has finally threatened legal action against ISPs if they don’t supply customers the advertised speeds. Find out what NBN technology you could be hooked up to once the NBN reaches your neck of the woods.